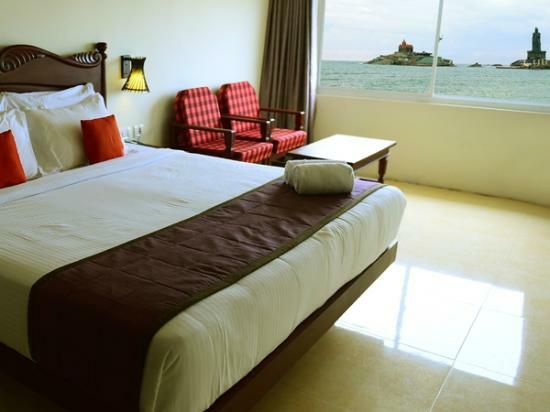 Luxury accommodation completely redesigned individual, elegant and refined, our rooms offer the ultimate in comfort and luxury in Kanyakumari. The hotel’s turn-of-the-century origins are evident in the subdued colors, discreet patterns and rich fabrics. Complete with marble bathrooms and classic furnishings. 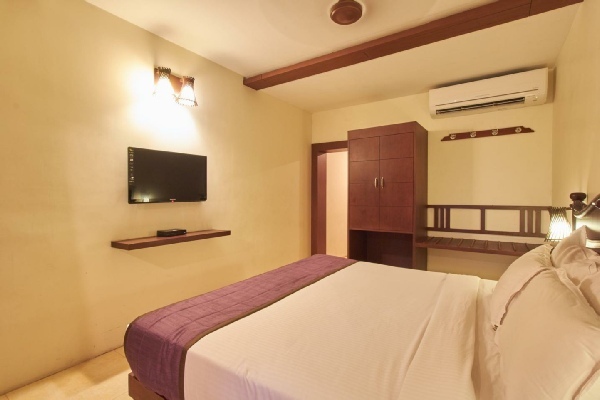 Ideal for business or leisure, the hotel offers Wi-Fi and smartly designed work areas in each guest room.Our guest rooms & suites offer an inspiring environment; the spacious windows let the sunlight in and provide breathtaking views of Kanyakumari . 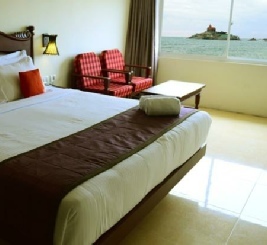 Deluxe seaview room features spectacular views of the Bay of Bengal Sea, Vivekananda Rock Memorial & Thiruvalluvar Statue. From the bed itself sunrise can be viewed. Other than Hotel Seaview none of the hotel has this blessing. Measuring a spacious 300 sq. ft., the rooms feature a sizable work area and is decorated with wooden furnishings. Standard Rooms feature views of the city, from where you can watch the eve beauty of the city. Measuring a spacious 300 sq. ft., the rooms feature a sizable work area and is decorated with wooden furnishings.